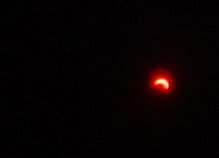 Taken with a crappy old camera and filtered with the magnetic surface of a two floppy disks. CRAP, an acronym standing for Content, Restriction, Annulment and Protection should be used instead of DRM. I don't want this kind of CRAP around me. The Grand List Of Console Role Playing Game Cliches was a very long but entertaining read. I definitely prefer PC games over consoled, where those cliches does not fully apply, but can appreciate it as insightful. Mărţişor is an over commercialised Romanian tradition celebrating the beginning of the spring on 1 March. At every big intersection, we have these says sellers on the streets offering some kitsch products and a lot of people wanting to buy some as cheap and as impersonal as possible. That is because every man is expected to offer one to each of the females around him: coworkers, family, neighbors etc. 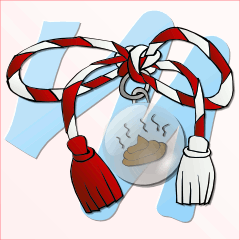 Usually, as a socially inapt geek, I ignore this tradition, but this year made an exception, created a very symbolic virtual Martisor, which I share here, for other fellows to use as they like.